We are a mere six days away from the biggest days of the football season. Now whether you watch for the commercials, or a legit sports fan, no super bowl would be complete without snacks! We are a sports family, and last night was the kickoff season for wrestling fans around the world. Royal Rumble. It’s tradition in our family to have snacks and drinks for that too. My kids remind me two weeks in advance what they want. It was simple yet creative this year since I didn’t buy out at Chili’s. We love their southwest egg rolls. Well, we put those snacks to the test this past Sunday with our wrestling pay per view, Royal Rumble. We didn’t have the spread I normally like to do, but it was enough for leftovers on Monday. 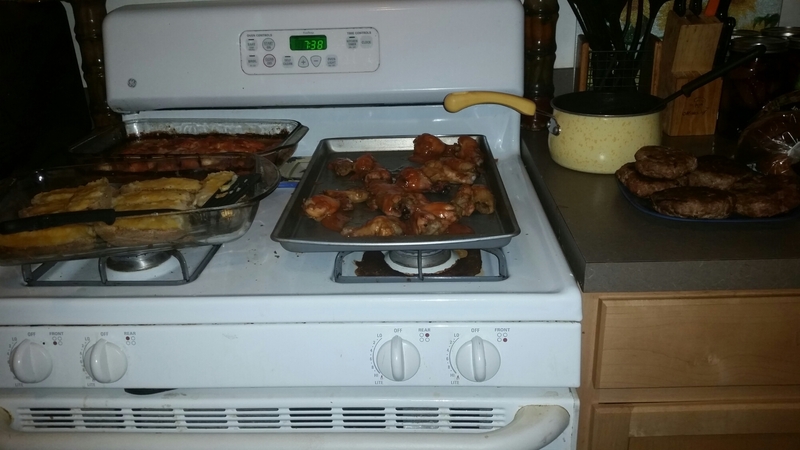 First, I made chicken wings and tenders. Now, I made the tenders with one version of my homemade barbecue sauce, and then the wings, I made with a healthier version of the same sauce. Both had crown royal in the sauce, but the tenders had maple flavored, and the wings add apple flavored. The kids liked both. Now, I used cornstarch to thicken the sauce if needed. You can use flour too. Combine ingredients into a saucepan, and whisk until smooth. Bring to a boil. Turn off, and let cool. Store in refrigerator for up to one month. The liquor gives it a little kick but since you cook it first, the alcohol cooks off, so it’s perfectly save for kids, pregnant women, and anyone on medication. I made the second batch with honey in place of the brown sugar(16 oz honey), and with crown royal apple. This one is sweeter than the crown maple, and in my opinion, could be used as a BBQ sauce or marinade. I moved on to twice baked potatoes. These are real easy. Can be messy filling, but a hit with kids, especially if they love cheese! You can jazz them up anyway you want. I keep them simple with cheese, milk, salt and pepper, and add cheese on top. My kids love to add ketchup, so I don’t do too much to them. As for myself, I love green onion, sour cream, salsa, or bacon bits to name a few options. Then we had burgers. They were real simple. 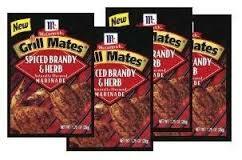 Ground turkey, and I bought a marinade seasoning packet. 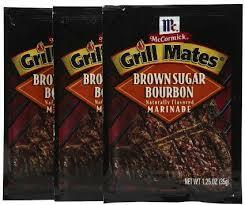 McCormick has these grilling flavor packets I love during the summer. I grill with these two mainly, but during the cooler seasons, I use them as flavoring in my meat, especially in the crock-pot. 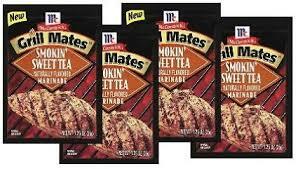 We used the sweet tea flavor that night. Defrost the meat, mix it in, and cook. I didn’t add the liquids because I just wanted the flavors. Burgers was done in 10-15 minutes flat. Those burgers are gone too. 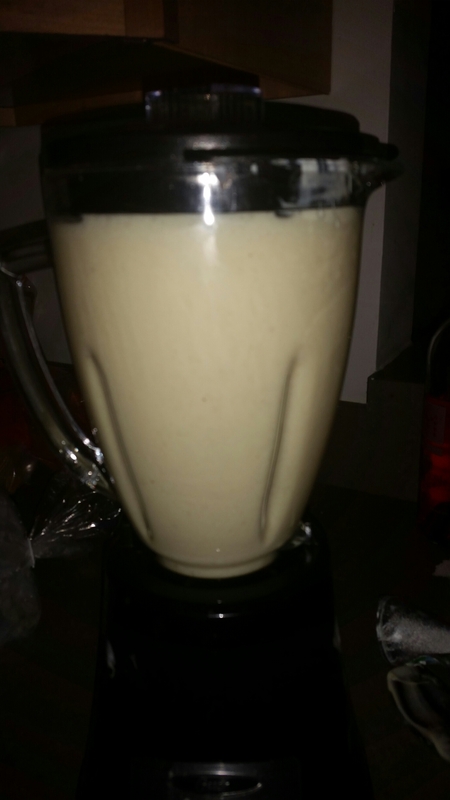 I treated my kids to smoothies for a drink. We had bananas that were going brown, and I didn’t want to waste them, and it was a healthy sweet snack to add. Add ingredients to blender. Blend until smooth. Now, you can use juice too, which is what I normally do, but the juice was gone, and I wasn’t about to go back out at 7pm for juice. If you do, cut the yogurt in half, and add 1/2 cup of juice of your choosing. 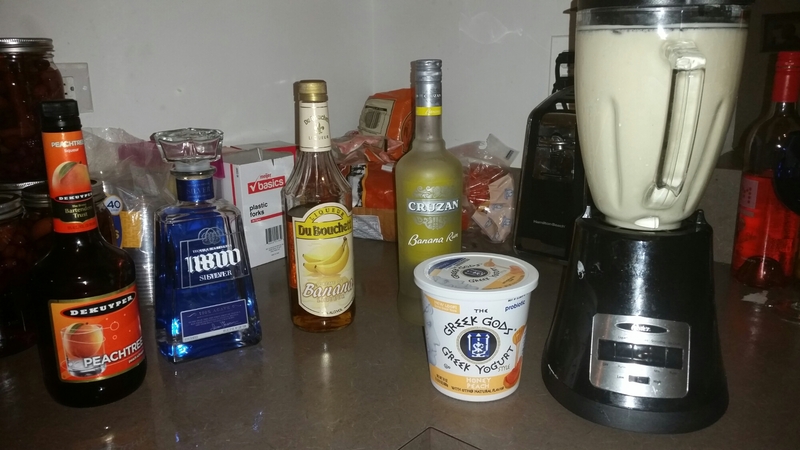 Lastly, I made Banana Margaritas for the adults! They were tasty and a hit! -Keep it simple and easy to get to. If you go too complicated, guest and kids get turned off. Also you lose you drive to cook in the first place. -Use disposable stuff. No one wants to do dishes. I love to cook, but hate to clean. -Don’t be afraid to use things that need to be used ASAP. Honestly, unless it looks gross or is completely bad, who is going to care. People want food that looks good but tastes awesome. Their are cheats to get around these things(add lemon to avocado to make it last longer to use, to prevent browning), check Google for information. -Just have fun. Don’t stress over a spread, if you do, scrap it. It shouldn’t be difficult or tiring. Embrace the semi-homemade. It’s just as hard to buy the stuff as it is the make it. I hope these help for Sunday! Go Patriots! Previous Post Thrift Shopping: Don’t be snobby, go for it!